Yesterday I was suddenly surprised by another blogger called Steven. He commented on my work, and he told me that he nominated me for the Liebster Award. Now the word ‘Award’ always sounds very good to anyone of course, so I was quite happy with it. 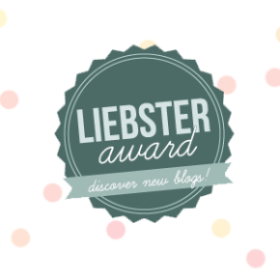 I did some research on the internet about what the Liebster Award is, and I understand that it is an award given to bloggers by other bloggers, A kind of a ‘Pay it Forward’ system. Okay, I like it, so I decide to accept it and pay it forward.